Hinduism takes center stage amid speculation that first Hindu American to run for president in 2020--Tulsi Gabbard (D-HI). Today the Hindu American Foundation launched a new campaign – I Am Hindu American – to improve awareness of the Hindu religion and Hindu Americans. 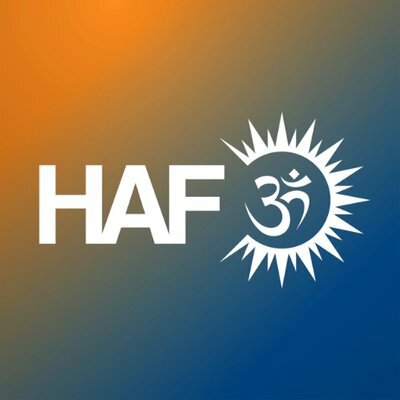 The multi-platform initiative includes a social-media campaign, a 30-second PSA (access through link below), and a companion website to provide valuable resources about Hinduism and Hindu Americans: www.IAmHinduAmerican.org. "The goal of the 'I Am Hindu American' campaign is to drive online conversation by putting a face on the Hindu American community. Despite the fact that Hindus are one of the most successful minority communities, knowledge about Hindus and Hinduism is very low among the US general public," says Suhag Shukla, executive director and co-founder of the Hindu American Foundation. "Our own data shows that one in three Hindu-American students report being bullied for their religious beliefs. Most of this is based on misperceptions about Hindus and we want to change that narrative." Another goal of the "I Am Hindu American" campaign is to educate about Hinduism during a period where the country has seen a rise in religious intolerance. Hate crime incidents reported to the FBI increased by about 17% last year compared to 2016 according to statistics released earlier this month by the FBI. "I am grateful to be a part of this initiative featuring the stories of Americans across the country who are sharing how their Hindu faith inspires them in their everyday lives," says Congresswoman Tulsi Gabbard (D-Hawaii). "Hinduism is the world's oldest living religion, a global and universal religion with adherents living on every continent. They are a part of the American fabric. Hinduism is no longer confined to Indians, and like Buddhism has been embraced by people from many cultures," says Dena Merriam, Hindu American and leader in the interfaith movement. To learn more about "I Am Hindu American," please visit www.IAmHinduAmerican.org.